Alessia has a Ph.D. and Post-Doctorate degree in Byzantine Studies as well as degrees in Early Christian and Mediaeval Art History, a M.Phil. in Curatorial Studies and a Diploma as Painter Restorer. She has also studied with the Director of Restorations of the Sistine Chapel. She has worked and studied abroad extensively, gaining an international perspective on her area of expertise. 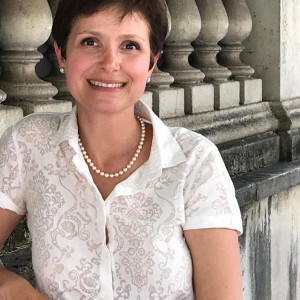 Alessia spent many years involved in academia, doing research as well as teaching university courses on Byzantine and Mediaeval Art and Greek Palaeography. She was an instructor of Art of the High Renaissance at Richmond University in Rome and she has ongoing collaborations with several other institutions. Alessia has been giving tours since 1998 and loves to share her passion with passionate people.